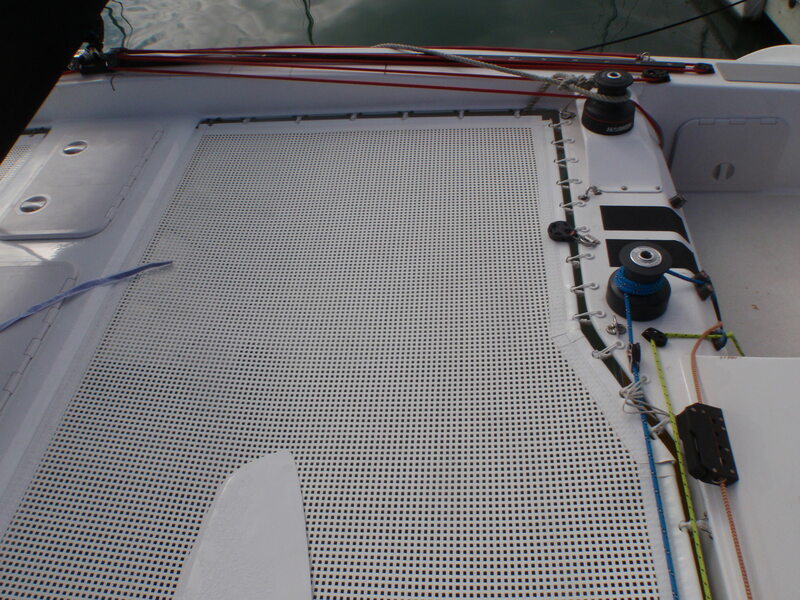 Ferrari mesh Longlife trampolines custom measured and made to suit every boat. Remove annual trampoline maintenance/repairs from your list of boat chores for good, once installed these trampolines will probably last longer than you plan to keep your boat. From many years of catamaran ownership I have found the only maintenance required with these tramps is replacing the lashings!